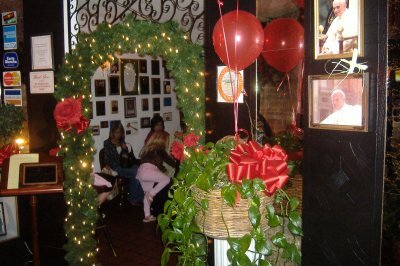 The sign I saw on my second visit stated that their 33rd birthday will be celebrated tomorrow, November 1, 2008, and they are going to have a number of half-off specials for it. 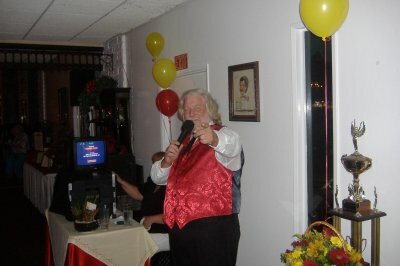 Click here to see the complete album (22 photos) at . 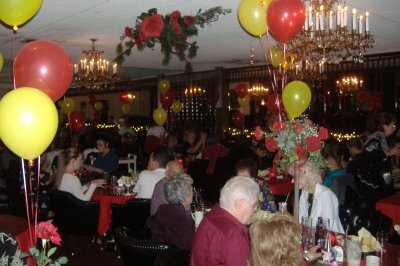 The owners found my entry and invited me to their anniversary celebration on Saturday. 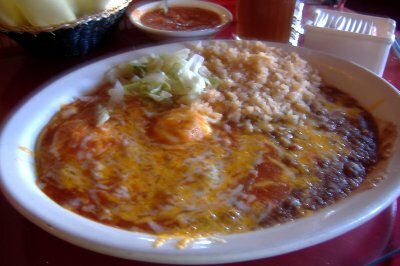 Here's a few photos (had their fideo soup and Lupita's Arroz con Pollo and the arroz con leche) and there's more photos in the photo album linked to above. There were a lot of people here for the celebration. Obviously this place has meant a lot to a lot of people over the years. 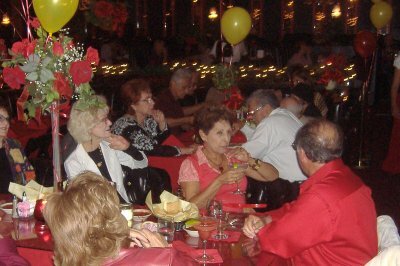 John and Tillie can be seen here holding hands across the table. 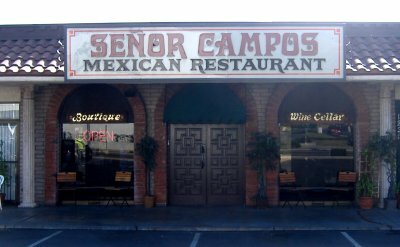 Here's a place that numerous people have recommended to me. I even had a certificate for them from restaurant.com (which I found out about from frequent guest writer Johnny Automatic and from where you can get $25 restaurant gift certificates for $10 or sometimes even less) printed out and sitting on my desk for a while before finally making it there with James and Lori and Thomas a few weeks ago. 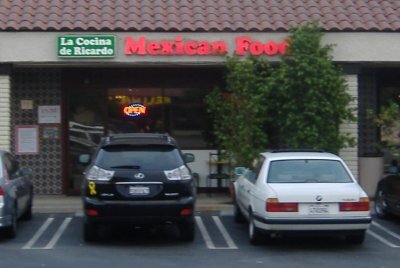 A family-run business, La Cocina de Ricardo opened in the mid-1980s and has two other OC locations and a location up north in Mountain View. 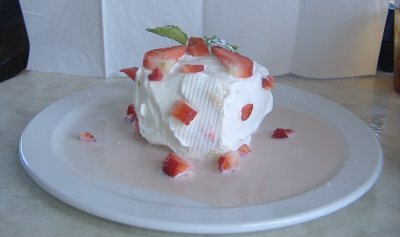 Their recipes come from Grandma Juana, who, according to their website, "was the main chef of her town [Mixtlán Jalisco, México] and would prepare the food for small and large events, from parties to weddings, making every occasion memorable. 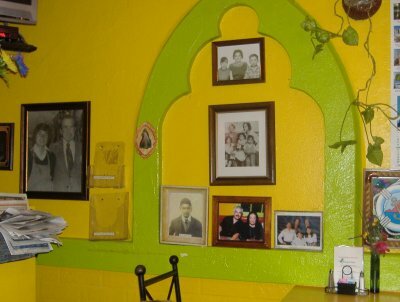 This tradition of thoughtfully prepared recipes was passed to Mamacita Alicia (the current chef and Owner)." This was excellent stuff, deep, rich, bold, smoky topped with onions, avocado slices, and sesame seeds (I can never get enough sesame seeds). 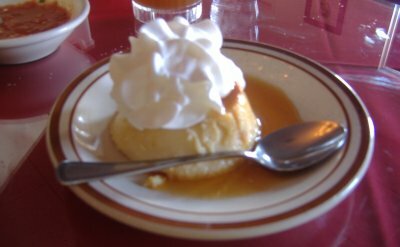 The desserts were a highlight, with a silky, yet not cloying, flan garnished with cinnamon, an orange slice, and a cherry, and a large dish of buñuelos served with whipped cream and honey. 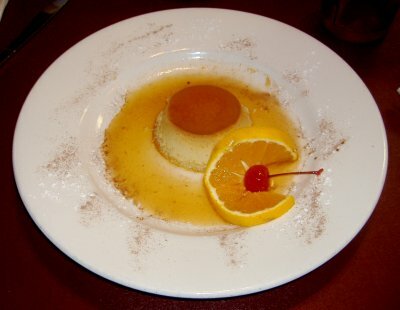 Our blog friend, Melissa O. from Alosha's Kitchen, has reviewed La Cocina de Ricardo at Yelp. Check out her review here. Click here to see the complete album (11 photos) at . 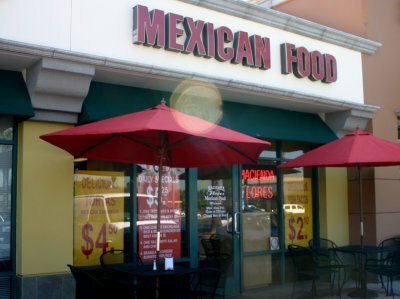 I used to live pretty close to Hacienda Flores years ago. They had just opened up then. I couldn't remember anything about their food but I realized they'd been there for awhile. So Thea and I popped in for lunch to check them out. They do a good lunchtime business and most of the tables were full when we arrived. 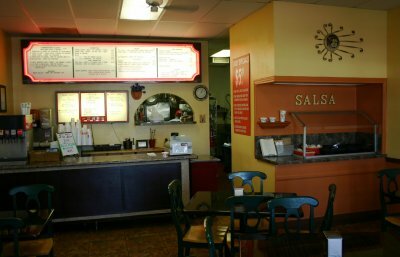 You can see from the photo of the store front that they have a number of combos specially priced for lunch at $5.25. They also had a few specials. 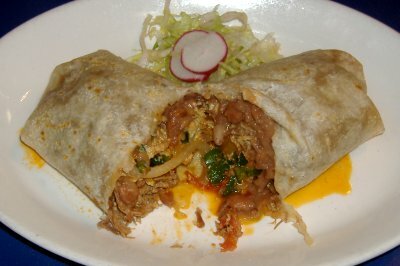 I decided to try one special - the chile relleno burrito. 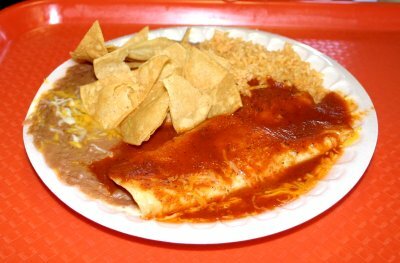 Thea stuck with her usual cheese enchilada. 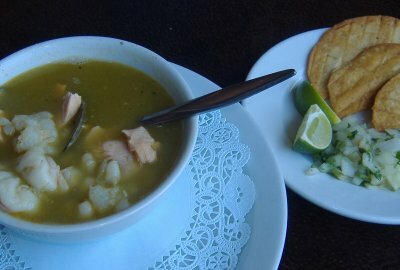 Hers was one of the $5.25 lunch combos that comes with rice and beans. All items come served with chips. 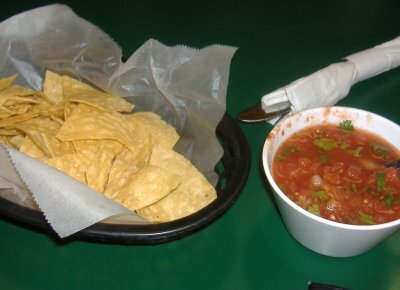 They have a small fresh salsa bar with about half a dozen choices for use with the chips or to spice up your meal. The health conscious will be glad to hear they proudly claim to only use canola oil. And for a chilehead like me the meals do need spicing up. 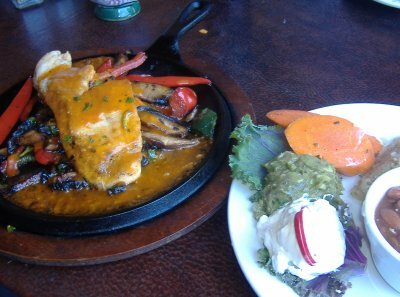 The food is generally pretty mild. 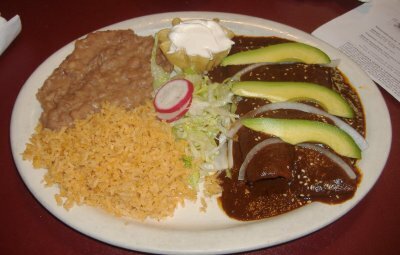 So if you worry about Mexican being too spicy this is a good place for you. But I don't want to imply that the food is flavorless. Far from it. 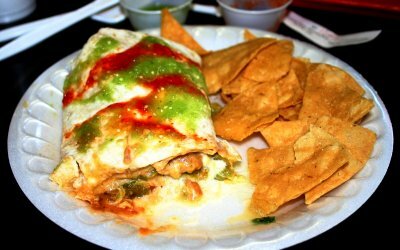 I enjoyed the flavors of my burrito and Thea enjoyed her enchilada despite a sauce she found lacking in deep chile flavor. 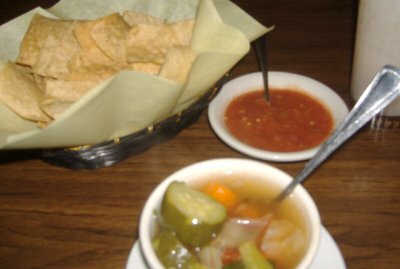 But the salsas help bring up the heat on any dish you want to be fiery. I found the fresh green chile salsa to have a nice zip. One of the usual side players really stood out for us. We both really liked their refried beans. Even using canola oil these had a lot of flavor and we strongly seasoned with black pepper. 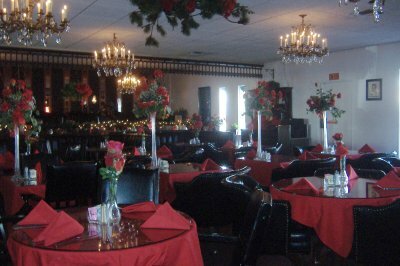 Hacienda Flores is family run and the dining room has a nice comfy feel to it. 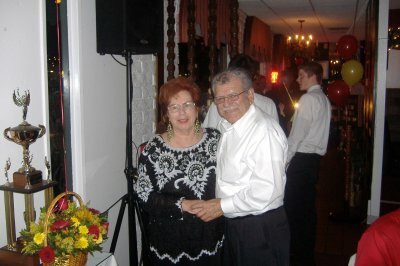 The family clearly cares about the business and they have developed a clientele that appreciates it. Service is speedy and friendly. We give them 3 and 1/2 Speedys. Went later at dinnertime and tried out the Triple Berries ‘n Crème Frutista Freeze and found it nice and refreshing and even a little dessert-like (somebody check the calorie count on this). 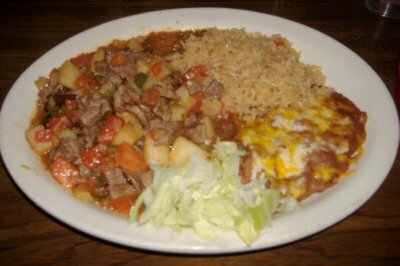 In fact, after I ordered it then a taco and some nachos the guy taking my order said, "Would you like a drink with that?" I said, "I already ordered a drink." "Oh . . . oh, yeah. That's right." Couldn't blame him since these definitely straddle the line between beverage and dessert. 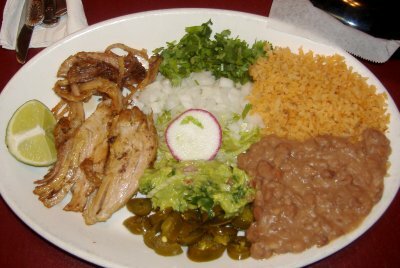 I had somebody write to me recently and ask why I haven't put up a report about the specials for the month of October at Taco Rosa. 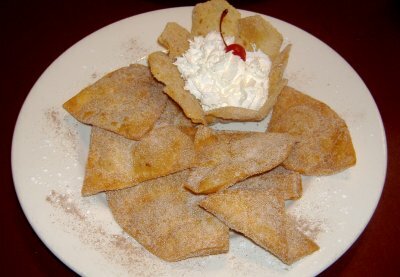 In September of last year both Taco Rosas began a monthly specials program that would feature a soup, a couple of entrees, and a dessert that would be available for that month and I reported on each month. When September of this year came around some of the items were the same as before and some of the items were different but it was all stuff I'd seen before. This is actually good because it means I get to have some stuff again that was not available for a year but at the same time I didn't know if it'd make a unique enough entry to post here. But since somebody asked about it I don't mind pointing out what they have for October and when November comes I'll see how to handle it then. 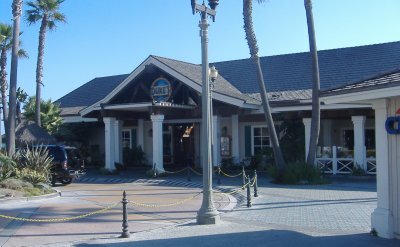 I've been meeting up recently with friends at Duke's on early Monday evenings to take advantage of their "Barefoot Bar®" during happy hour. 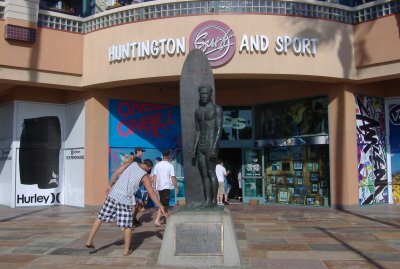 Duke's took the place of Maxwell's which had stood at the beginning of the Huntington Beach Pier for years, and is named for surfing legend Duke Kahanamoku whose statue stands across the street from Duke's in front of Huntington Surf and Sport. 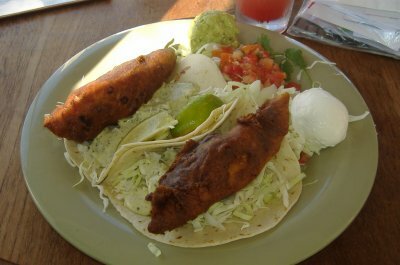 Those who are just looking to fill up could try the beer-battered ones variety which sport huge fried fish fillets that are very heavy and may require some paring down before you can pick up your taco and lift it to your mouth. This fish is the same that they use in their fish and chips dish. 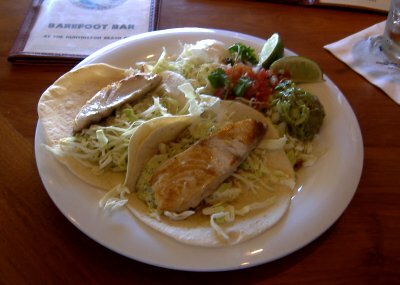 I've had both kinds of their fish tacos and am not sure which one I like better so I'll probably just keep alternating on future visits. Both are $8.95. 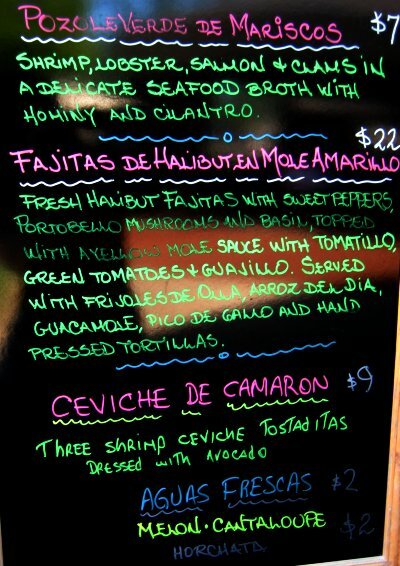 The other Mexican-related item they have is their Barefoot Bar Nachos for $12.95. "Black beans, salsa fresca, jalapenos, cheese, guacamole and sour cream" served over a huge mound of tortilla chips. 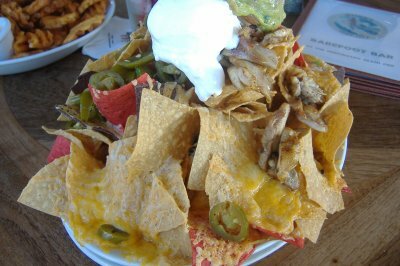 This mound of nachos was so big we had the group making jokes about the treasures Indiana Jones might be able to unearth in such a heap. The picture below doesn't do it justice. Needless to say, I couldn't eat the whole thing and even after others at the table had some there was still about half of it left when we were done. Now that I've had all of their Mexican selections the next time I go I'll be trying their famous Mango BBQ Burger. Click here to see the complete album at .